It’s time to get back to nature now as we check out this brand new online slot from IGT. It’s called In Bloom and it joins a long list of nature-themed games we’ve reviewed in the past. We’ve even picked our top five which you can see by clicking here. In Bloom is all about flowers though so read on for more information. 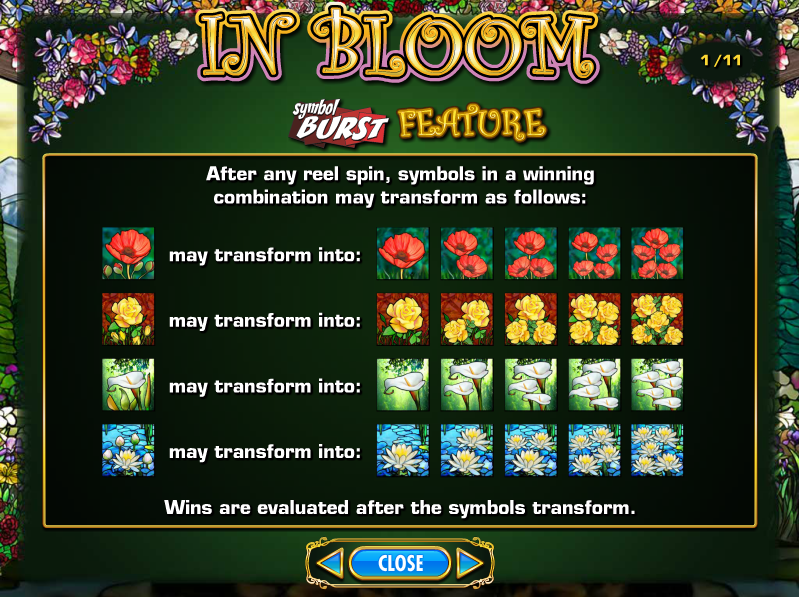 In Bloom is a floral-looking five reel slot with forty fixed paylines; everything about it is flowery from the blooms which frame the reels to the nicely-drawn symbols. There are four main flower symbols – Water Lilies, Cala Lilies, Roses and Poppies. The remaining symbols are the standard 9, 10, J, Q, K and A. The scatter symbol is a butterfly and unusually there is no wild in this game. This is probably the most noticeable feature in this game because it occurs every time you land a win in the base game. Each flower will bloom into more flowers when it forms a win meaning that three, four of five can transfer into a a possible combination of fifteen blooms. The scatter symbol only appears on reel three but if you can land two or more there you will trigger this feature. Your first task is to pick a flower and an associated number of free spins. 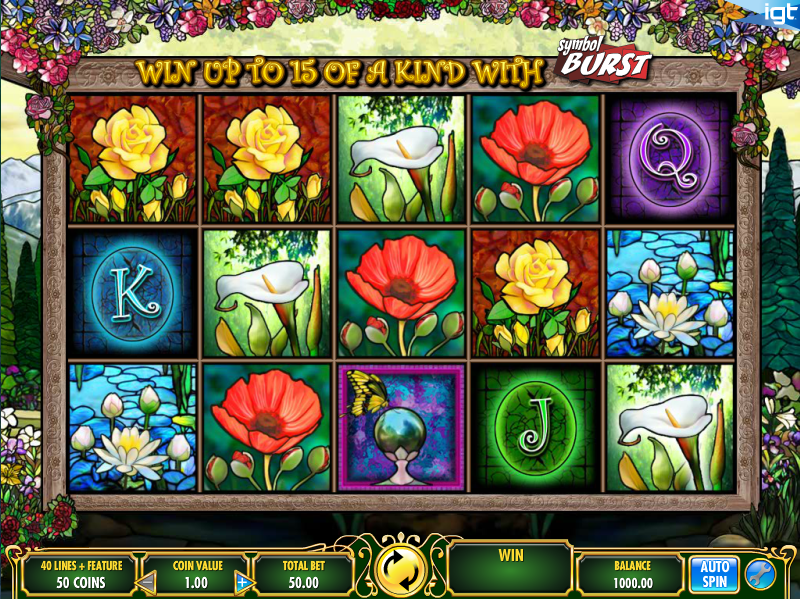 There are between five and twelve spins available and the more valuable flower will provide the lower number of spins. During the spins your chosen flower will be the only one to appear on the reels. When the spins have finished you will be taken to a screen where you must pick a symbol to reveal a multiplier for your wins between 1x and 50x. If you land just one scatter symbol on the reels it’s also possible to have the bonus triggered – occasionally another butterfly will flutter down and change one of the other symbols on reel three into a scatter. The number of free spins you choose is up to you of courts but we like the combination of 8 or 10 spins with the middle value flowers. This is a really engaging slot with some nice graphics and a dramatic soundtrack. It’s always nice to have more than one bonus feature and here they are particularly creative.